VANCOUVER – In a province-wide call to action, provincial sport organizations are being asked to erase bullying in sport by making it a more inclusive and safe environment. viaSport and the Government of British Columbia are encouraging all provincial sport organizations to sign a Declaration of Commitment to erase bullying in sport throughout B.C. Those who sign the Declaration are committing to foster a positive sport environment with mechanisms in place to effectively prevent and address bullying in sport. A sport environment in which participants, athletes, coaches, volunteers, spectators and officials are exposed to negative experiences, such as bullying, can be harmful and cause individuals to quit. viaSport and the Government of B.C. want to ensure participants at every level of sport are aware that bullying in any form cannot be tolerated. 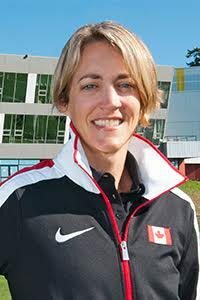 A new #ERASEbullying video featuring Olympic gold medalist Jennifer Heil, Paralympic gold medalist, Richard Peter, Vancouver Whitecaps Carl Valentine, Vancouver Canucks President of Hockey Operations Trevor Linden, and Special Olympics athlete Paige Norton asks for the public to endorse this campaign by taking a pledge to erase bullying in sport. The Province of B.C. will acknowledge the sport sector and government leaders’ commitment to anti-bullying on Pink Shirt Day (February 22), as provincial sport organizations come together and join the Province’s first Declaration of Commitment to erase bullying in sport throughout B.C. 94% of B.C. sports organizations surveyed believe sport bullying is a serious problem that needs to be addressed. 55% of B.C. sports organizations surveyed say they know of athletes who have dropped out of sport because of bullying. 44% of B.C. sports organizations surveyed say they know of officials, coaches, managers, board members and other volunteers who left a sport due to bullying.